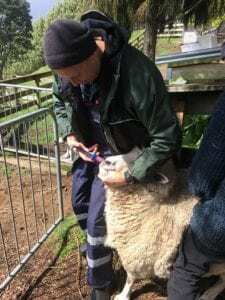 Welcome to our Lifestyle Block News Update published in October 2018 and written by Veterinarian Anne Terrill. Cattle with horns can cause serious injury to themselves, other stock and people. Because of this, and the fact that special considerations need to be made to transport such animals, it is important to dehorn your cattle. This can be done as young as 2 weeks of age. When we disbud calves we ensure we consider the Animal Welfare Act. We fully anaesthetise them, apply local anaesthetic and remove the horn buds. While they are asleep we can also ‘rubber ring’ any bull calves, place ear tags, vaccinate them and give the calves a good check over. Removing horns at a young age is much easier on the animal, so give us a call to book yours in! Just a note, please ensure they aren’t fed the morning we are due to visit as they will be receiving a general anaesthetic. Please have them in a sheltered pen (preferably in a shed) that isn’t too muddy/soiled. They will have open wounds on their heads so they can’t go out into the rain for at least 48 hours afterwards. We may need to reschedule depending on the weather forecast. The most common vaccinations we use in cattle are used to protect against Bovine Viral Diarrhoea (BVD), Leptospirosis, and the clostridial diseases. BVD is a viral disease of cattle. It is transmitted either congenitally (the foetus being infected in utero) or after birth through faecal-oral or nose-to-nose contact. BVD infection can cause a range of symptoms depending on when an animal is infected. 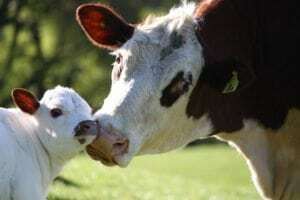 If a pregnant cow is infected she may abort, have a stillborn calf, or give birth to a calf who will persistently shed the virus throughout its life. Other animals who contract the disease may present with fever, nasal and ocular discharge, anorexia, oral lesions and diarrhoea. Treatment is only supportive for this disease, there is no cure. Therefore vaccination to prevent it is necessary. Biosecurity is also important. If you are buying in stock keep them quarantined (away from your own stock) for at least 7 days and monitor them for any signs of disease. You can ask if the animals have been vaccinated and when this occurred. Leptospirosis is caused by a bacteria called Leptospira. There are many subgroups, or serovars of this bacteria. Cattle are the maintenance hosts of Leptospira hardjo-bovis. If infected they may not get ill but they will carry the bacteria and shed it in their urine. They can also become infertile. Other serovars can cause acute illness in calves. They can exhibit fever, anaemia, jaundice and red urine. This can lead to death in 3-5 days. If pregnant cows are infected with a non-host adapted serovar they can abort. Leptospirosis is a zoonotic disease. This means humans can be infected. Therefore it is very important for us to use preventative measures to control this. Vaccination is relied on to increase resistance to infection. Calves are vaccinated twice, 4 weeks apart, then they get yearly boosters. Pigs, dogs, rats and horses are also carriers of leptospira. It is important to control rats, fence cattle from potentially contaminated streams, separate cattle from pigs and wildlife, and vaccinate all stock on farm. Clostridia are bacteria that commonly affect cattle. Infection normally results in sudden death. There are many diseases that are caused by clostridial infection, including tetanus, blackleg, malignant oedema and black disease. Many of these involve contamination of wounds with the bacteria. Since most animals die soon after infection, prevention is the only option. This is done by vaccination. We use a vaccine which protects against 10 different clostridial bacteria. Calves are vaccinated twice, 4 weeks apart, then yearly after that. Please contact us in at the clinic if you would like to book your cattle in for vaccinations. As many of you will be aware, there is a nationwide effort to eradicate this unwanted organism from New Zealand. We are all doing our bit to help and we ask that you do too. Firstly, if you have sick animals, please get them seen by a vet. If you have adult cattle with multiple swollen joints, mastitis that is non-responsive to treatment, or who have aborted please call us. If you have young stock with ear infections, hacking coughs, weepy eyes, swollen legs or weight loss, again please let us know. Don’t bring any cattle on to your farm unless you can be sure they haven’t come from an infected property. Don’t buy in raw milk from other farms. Use milk powder for calves. If you do intend to purchase raw milk, ask us for advice on how to treat it. Ensure your cattle all have NAIT tags and their records are up to date. Keep your stock separate from your neighbours. Use shelterbelts, or double fencing. Have good hygiene measures. Wash and disinfect your clothing and gumboots, and any equipment that you use such as calf feeders/bottles, ropes and buckets. If you have visitors from other farms ask them to scrub their boots with disinfectant before entering your property and avoid foot traffic near your stock as much as possible. It is a great feeling keeping your own hens and eating their nice fresh eggs for breakfast, but there are a few points to consider before to go and purchase your week flock. 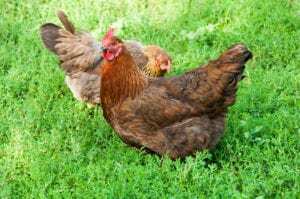 Firstly, you need to decide whether your hens will be ‘free range’ or confined to a coop. All hens will need a safe place to roost for the night. A shed 2mx2mx2.5m high will be big enough for 8 hens. Obviously, it should be weather and predator proof. Water and grit needs to be available at all times. Provide plenty of perches as the ‘boss-hen’ will prevent others from roosting near her. Hens will begin laying at around 6 months of age. At this time the red bits on her head (the comb and wattles) will become bright red. She will lay one egg every 25 hours (usually in the mornings). Because of this, every so often she will miss one day and lay early the next morning. Provide a nice dry clean deep bed of shavings or hay for her to lay in, and leave 1 or 2 fake eggs there to encourage her. Hens usually lay eggs for about 9 months before they go through a moulting process. Egg production becomes irregular, then stops when this occurs. Her comb and wattles will shrivel and pale pink in colour. The hen can look quite miserable for 2-3 days then her feathers start to fall out. Over a few weeks a new set of feathers will grow and she will begin laying again in approximately 12 weeks. She will need extra food over this time as she will be feeling cold and tired. Spring is the season of new beginnings. Farmers and gardeners sow seeds, flowers bloom and lambs bounce as temperatures slowly rise. Scour worms also enjoy this time of year and now is a good time to tackle them before they get a chance to bloom. As a general rule, parasites affect animals that are either growing, pregnant, producing milk or fighting disease. The immune system needs protein to fight parasites and if its artillery is being used elsewhere the parasites will take advantage. Often well-fed lightly stocked animals will not require a drench. If they do require a drench, the rule of thumb is to use a combination drench such as MATRIX®. If you are unsure as to whether your stock do need a drench talk to your vet. Scour worms can be monitored in faecal egg count tests and vets can use their knowledge of the area to predict whether your stock are at risk. The added complication is that often we need to treat for gut parasites such as the blood sucking Barber’s Pole worm before we start to see clinical signs. 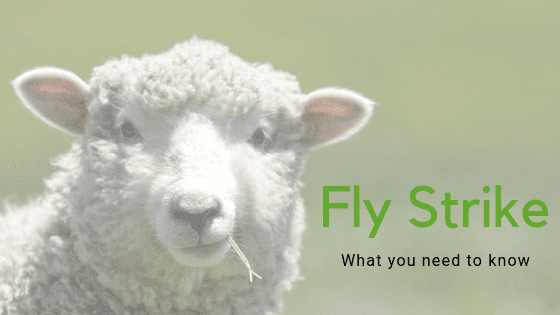 In sheep we also treat for scour worms and tapeworm to reduce fleece contamination and the risk of blowfly strike. Never drench more often than every month. After that, it depends on a whole host of factors such as which parasites are likely to be causing problems on your property, stocking rates, pasture cover etc. etc. It’s best to ask for advice to ensure your stock aren’t at risk of parasitic disease and the other extreme, you’re not drenching too often.